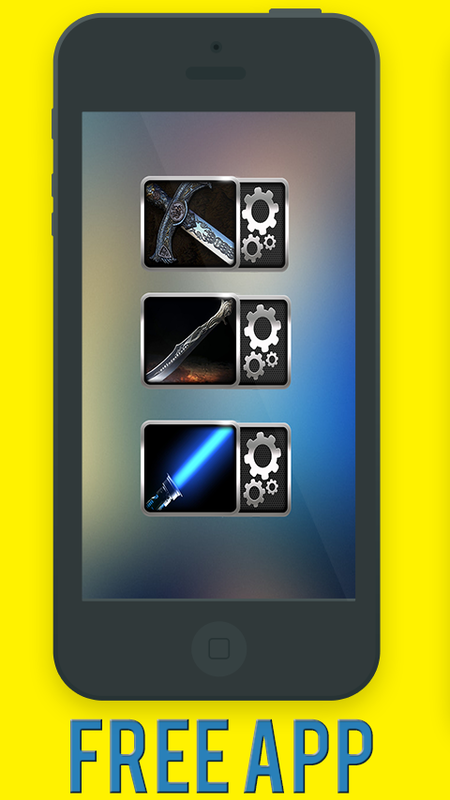 This instant button sword sound widget isperfect to play around with your friends. 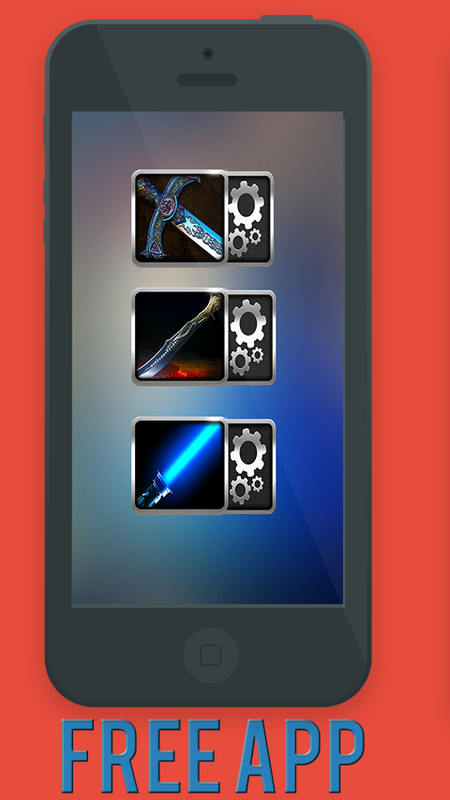 Place the sword sound widget on your cellphone and touch the buttonto hear the sword attacks! Grab your Lightsaber, activate the concentrated beam and battle!The most powerful weapon in the Universe is back - and now in yourpocket! That’s right - the Force Saber of Light is now an app!Swipeyour device through the air and feel the power within as you swayand swing with your futuristic weapon! Engage in battles with yourpowerful beam - battle to the death and betray your friends,strangers, pets and maybe even your own son! No one will want to beyour father when you unleash your inner jedi force and change yourLightsaber to suit your personality!Become a knight of light asyour beam responds to your slight movement! Choose betweendifferent crystals, each giving your more power and a differentcolour saber! Swap your hilt for 12 different bars for even morecustomization of your Force Saber! 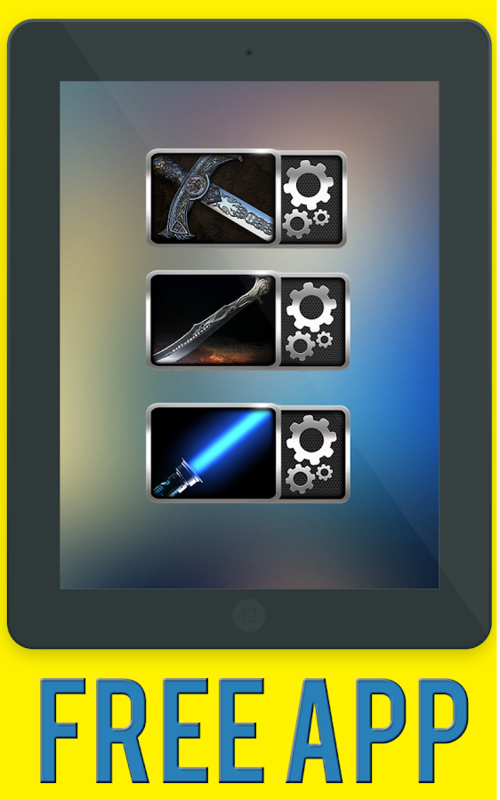 Even choose the dual-blade ifyou think you can handle the force!The Force Saber of Light willmake noises as you battle on your wars - adding even more darthtension.Move your Android device and feel the power from yourpowerful weapon, have battles with your friends as they downloadthe Force Saber of Light app onto their phones! Watch as yourcamera flash lights during battles for the ultimate night battleexperience!The Force Saber of Light app is free to download andgreat fun for the whole family! All ages will love how responsivethe Force Saber feels in their hands and they will really feel likea Knight or Lord of Light!Features:- Choose from various crystalsto change the beam’s color with more coming soon!- Choose one hiltfrom 12 hilts, with more coming soon!- FEEL your lightsaber - it’sbest feeling-saber app!- Hear different sounds from your ForceSaber- Upload and play your own music into app!- Flashlight turnson when you hit saber!- 5 star app!If you are a fan of the famousjedi and sith wars Vader, Obi, Kylo Ren, Palpatine, Han Solo, Yoda,Maul or Luke - there's not a better app for you! Galactic republicor imperial empire? Even better! Become the real jedi with this new Augmented Lightsaber. Change theblade color and hilt type to customize your saber. Move the phonearound to get the different sounds of saber. Move the phone fasterto get the hit sound and feel the vibrations.Slide down to hide allthe icons and leave only the lightsaber to get the the most of it.Slide up to display all the icons once again and be able to changethe blade color and hilt type. 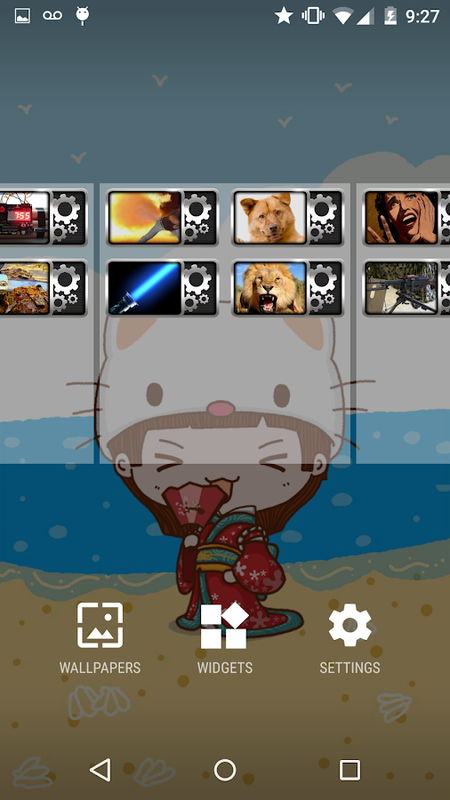 Sliding icons down also hides theadvertisement so you can enjoy the app without looking at theads.It's the only lightsaber on the market that let you use thecamera image as a background to your saber. A real must have forevery fan.If you spot any bug or would like some improvement pleasedrop me an email at [email protected] note that appis just a prank, funny simulation that's meant to make you and yourfriends laugh. It's not a real lightsaber. Dirty mouth? Conversation getting boring? BLEEP it!BLEEP me! bringsyou the classic bleep sound like the one on TV. It includes lots ofother 'bleep' sounds, like clown horn, dolphin sound, car horn,spring sound, sad whistle, and more!Bonus: You can bleep while yourMP3 music is playing! All free, ad supported.P.S. We just fixed theBleeping bug that was causing it to crash! What is LightSaber application? Lightsaber is an application thatbe able to simulate Light Saber on your smart phone device. Whenyou feel boring you can turn on this lightsaber and have fun withit. The Lightsaber can simulate the saber sound effect, light andalso can choose the saber color. You do not need to build the lightsaber by yourself. Discover all the famous ones, owned by star warslegends - famous Siths, You can be Obi Wan, Palpatine, Darth Vader,Kylo Ren, Han Solo, Darth Maul, Yoda, Luke Skywalker and more asyou want to be. 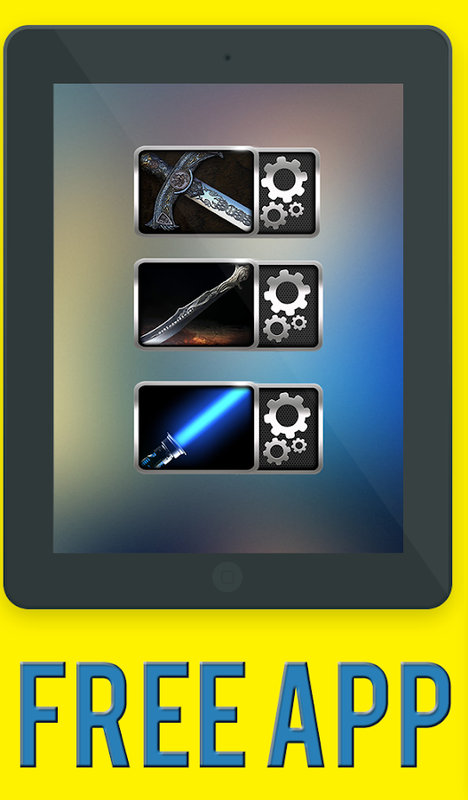 If you really like Lightsaber, Now make your dreamcomes true with Lightsaber app. Why is Light Saber application?Because, This app. can simulate realistic saber effect with color,sounds when swing, spin or even you move slowly. the sounds isdifferent depends on your action. Moreover, you can choose color,turn on the flashlight to more realistic simulation. So what areyou waiting for? if you like and love Lightsaber, Now it's the timeto download it and it is free. Features - Choose Saber color. -Choose Saber Hilt - Turn On and Turn Off flashlight - Sound effectshappen depend on your action. The most powerful weapon in the universe can now be in your pocket!Dominate your friends or enemies. 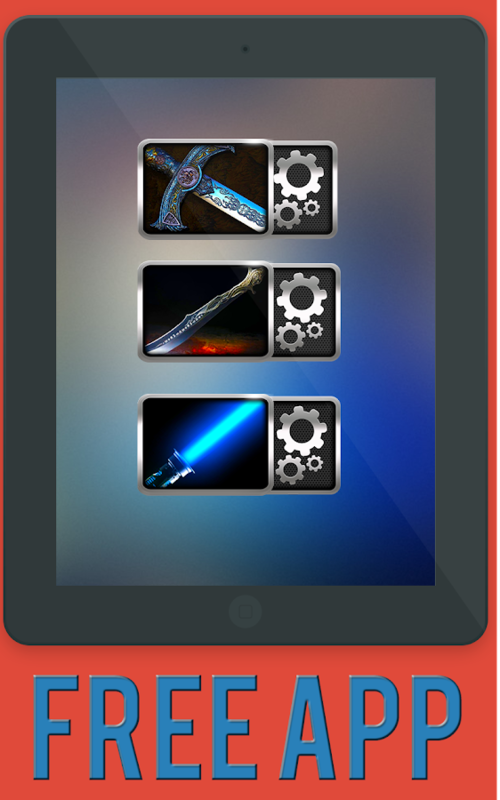 Turn up your sound and shake thephone as if simulating a saber fight.- Record your own custom sabersounds- Multiplayer Duel- Beautiful Custom Hilts- Bright CustomSaber Colors- Force Powers- Lightning PowerWARNING: Hold your phonesecurely while using the app! Laser saber is based on the power of the light. Now this strongweapon is in your arms! Five different sabers and seven colors inyour phone!